Whether it’s for the season of Lent, or just for a diet, seafood is craved for by all. There’s a lot of seafood choices out there but we’ve listed down some of the best seafood restaurants in the Metro. 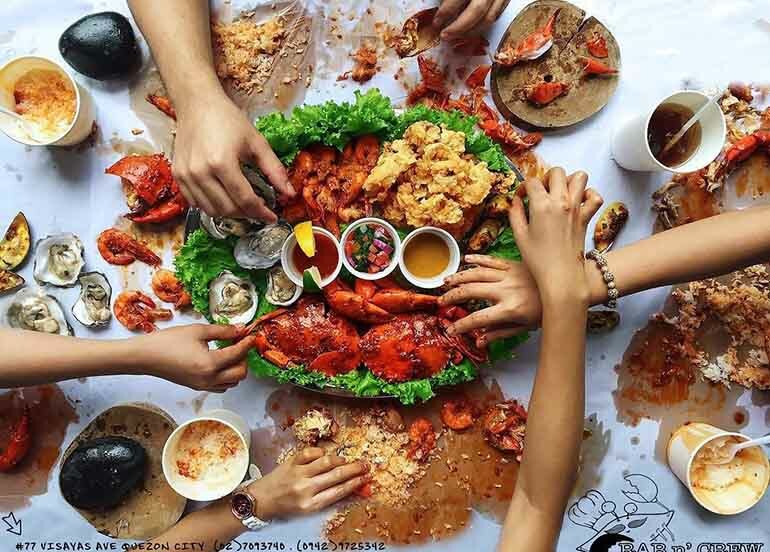 Get ready to dive in and stuff your face full of crabs, prawns, bangus, and more. Careful if you’re allergic, don’t say we didn’t warn you. 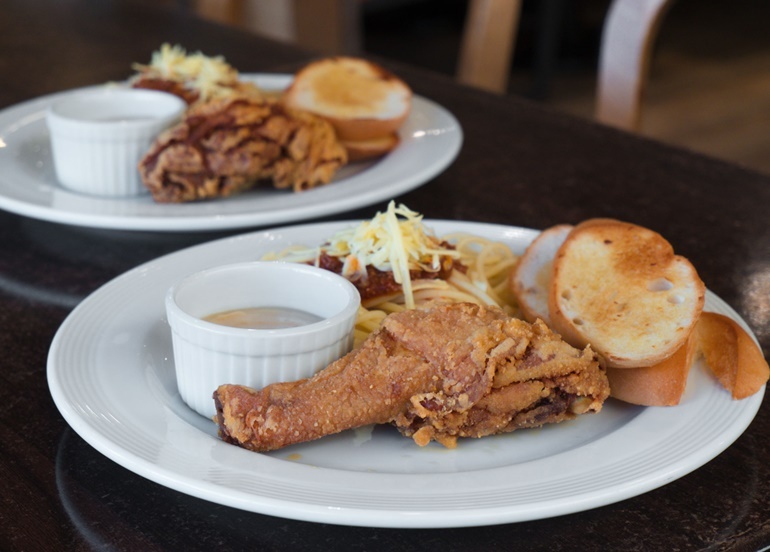 Update: Check out the Top 10 Most Loved Restaurants in Metro Manila this month! 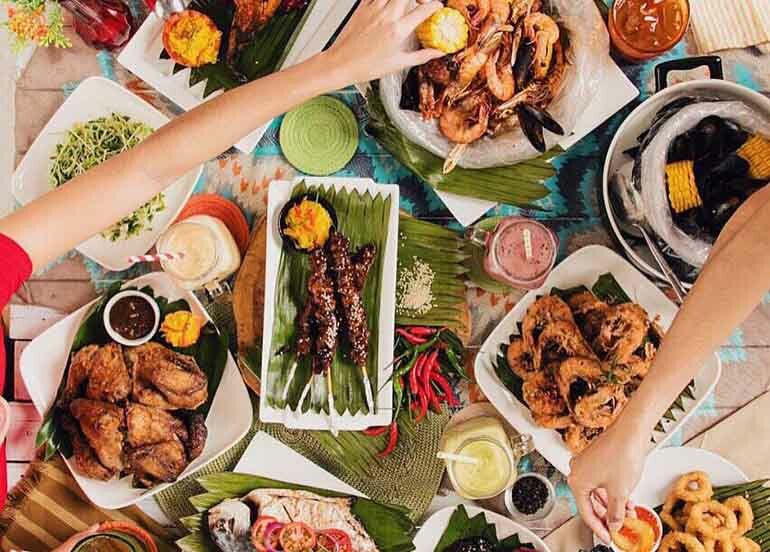 Owned by restaurateur Raymund Magdaluyo and celebrity chef Peter Ayson, this is a Hawaiian-inspired restaurant where you will enjoy their wide variety of seafood viands here! 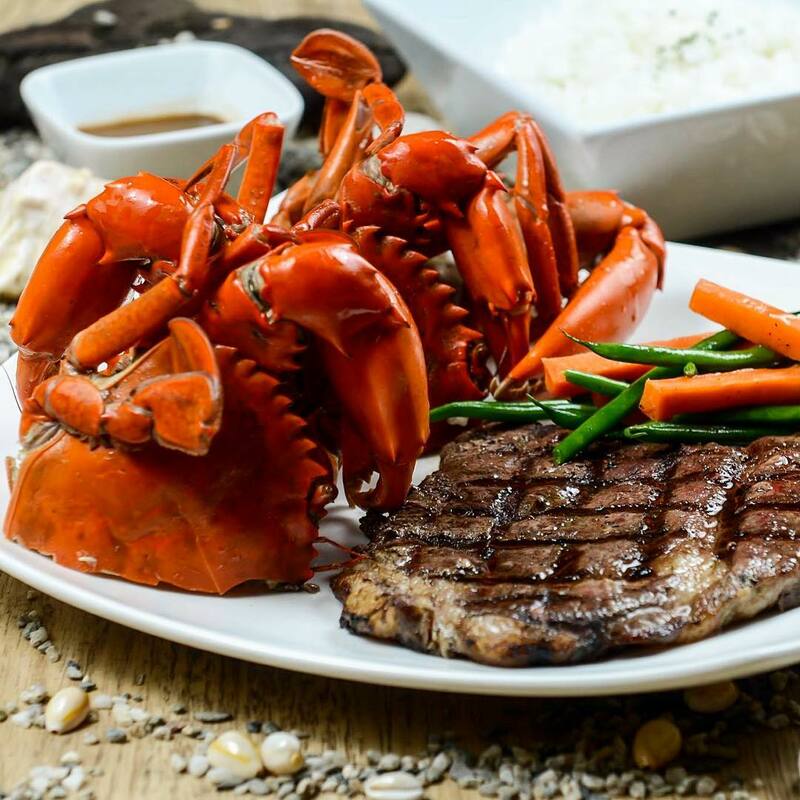 This one has lobster and rib-eye steak! Gumbo offers an authentic taste of Cajun and Creole cooking specializing in juicy steaks and ribs, pastas and fresh seafood fare. Some of its popular dishes include the gumbo and seafood jambalaya. 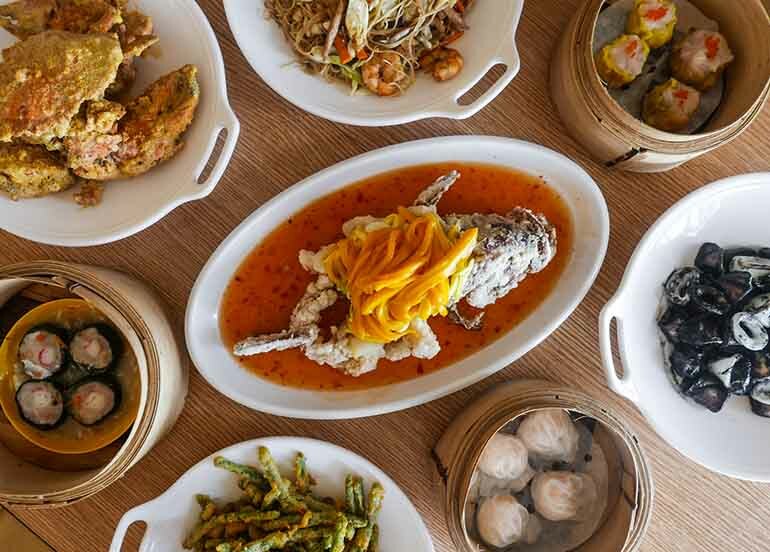 Ocean Seafood is a Chinese restaurant at the SM Mall of Asia that serves the best from the ocean in a multitude of cooking styles. 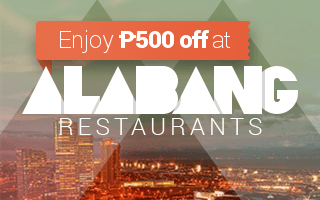 Try their Fried Lapu-Lapu with Mango, Salted Egg Crab, and Adobong Pusit. It’s a great place for families and seafood lovers alike to get the freshest catch of the day. 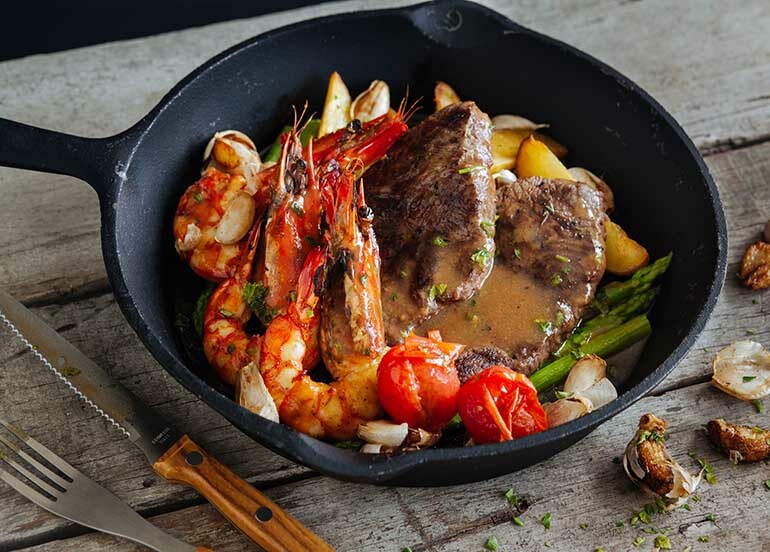 Bay Brothers is a seafood and steak restaurant that gives you a bang-for-buck surf n’ turf experience. 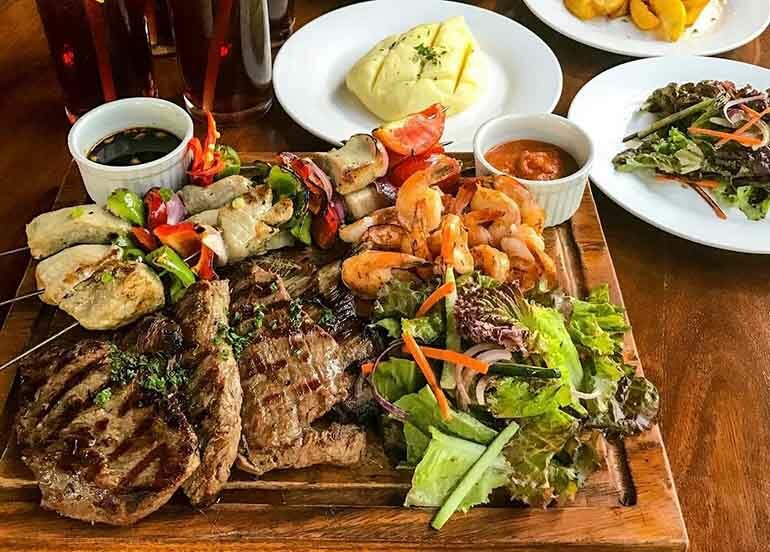 The Surf N’ Turf set has steaks, shrimps, tuna skewers, plus four side orders and four iced teas. Blue Posts Boiling Crabs is a known family-style seafood restaurant from Davao that offers fresh seafood boiled, marinated in different flavors and sealed in bags. Get ready for messy tables, as well as messy hands and faces. 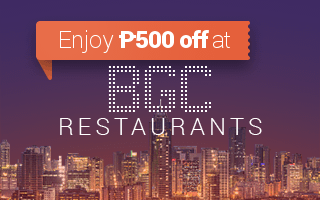 Don’t be fooled by their name, Bangus Specialty Restaurant are experts in more than just fish. 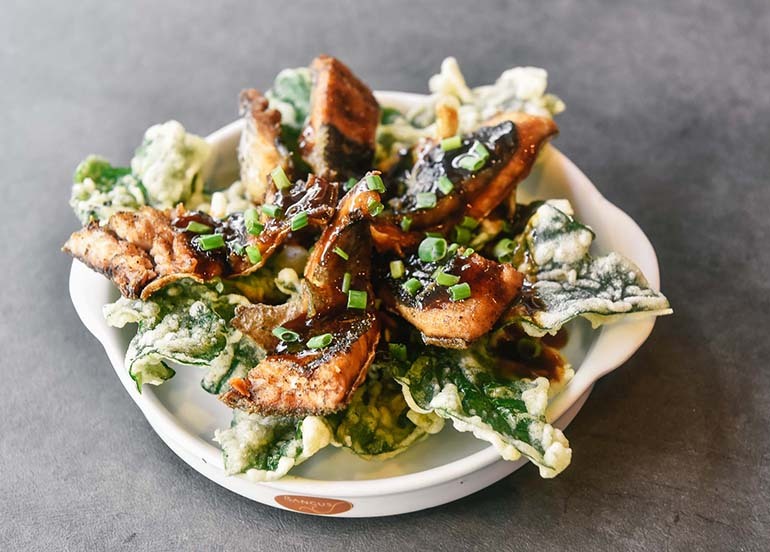 Aside from their famous bangus and seafood dishes, Bangus Specialty Restaurant also serves up an incredible menu of Filipino cuisine. 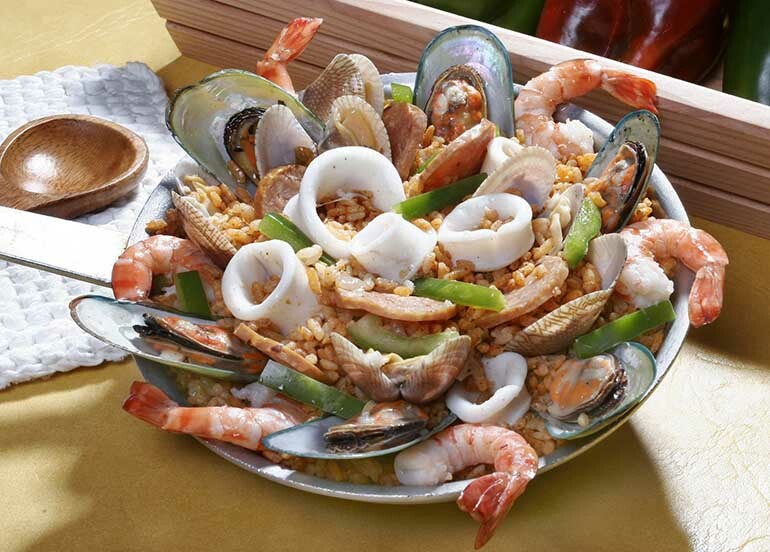 Blackbeard’s Seafood Island – Market! Market! 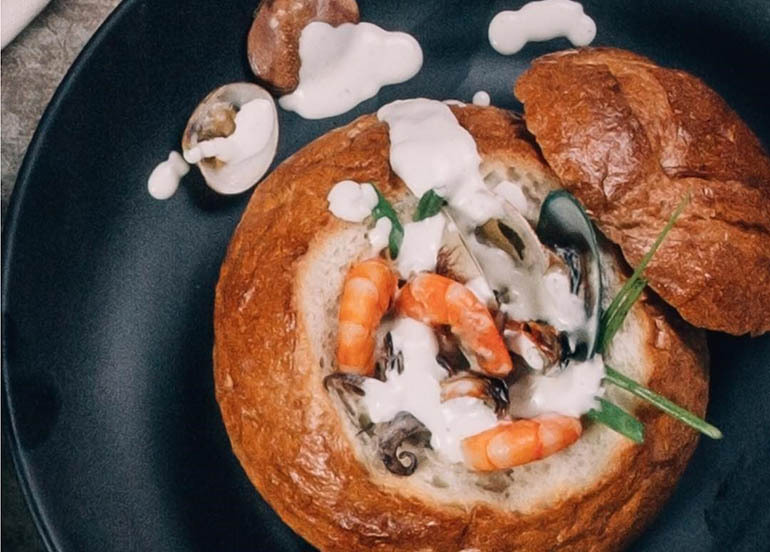 An American fish and chips concept restaurant that’s all about seafood in a pan. 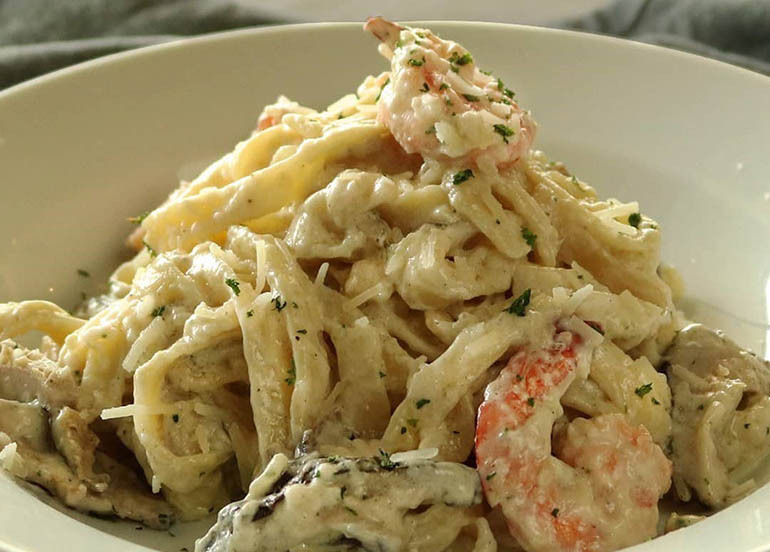 They have dishes like prawns fettuccine, clam chowder fish chips, and more. 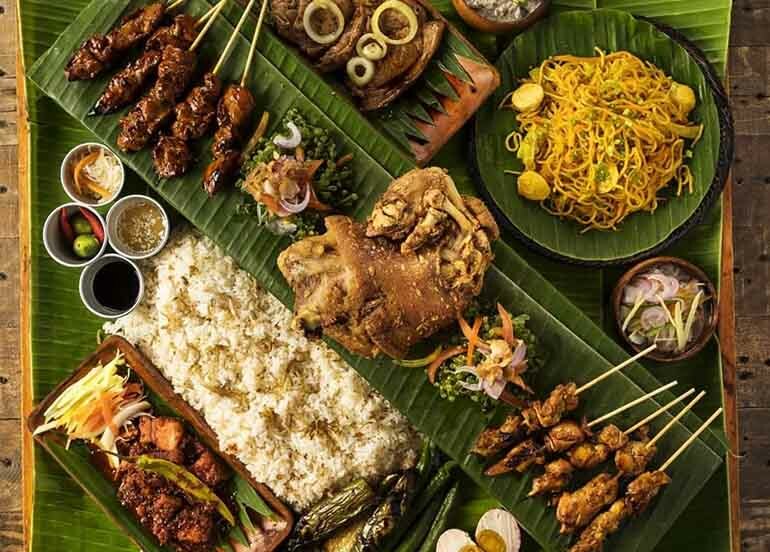 7107 Culture + Cuisine is a a culinary and hospitality food hall that aims to educate and promote the heritage and local food of the Filipinos. Tourism, Hospitality and Culinary students of Treston International College are immersed in real restaurant operations and management. The Red Crab Alimango House is the go-to choice of Filipinos for the ultimate fresh crabs and seafood experience. 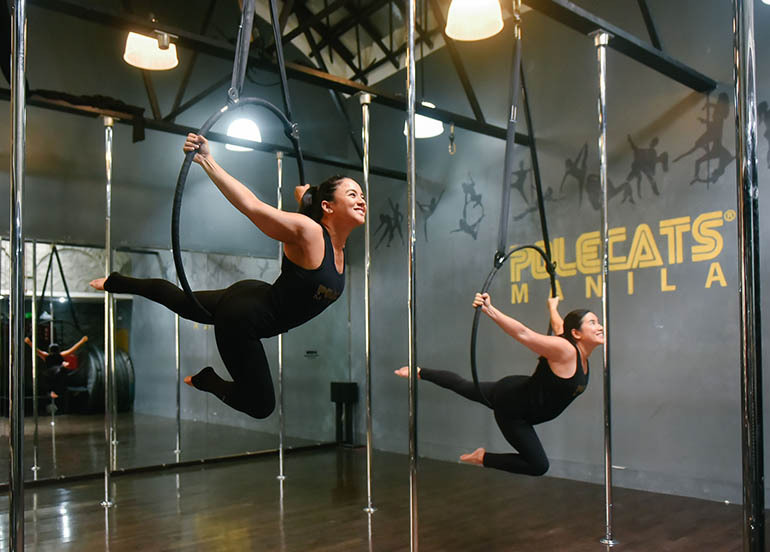 it is a definitive place for locals and balikbayans alike. 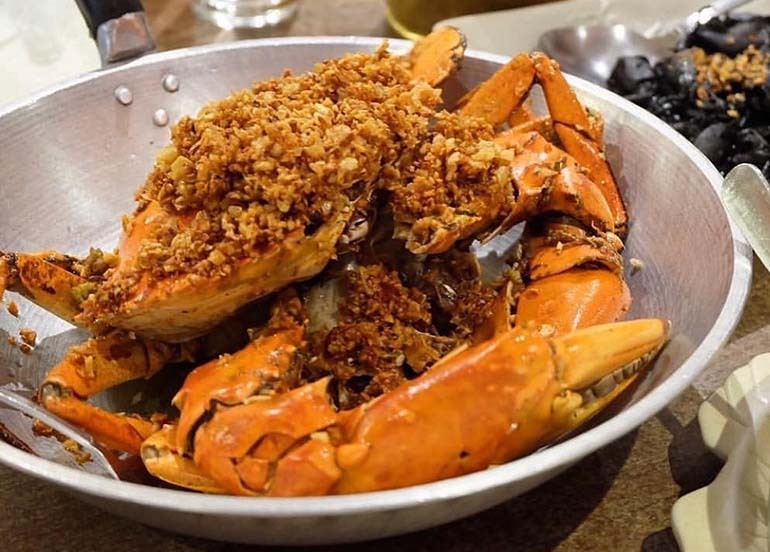 Whether it’s broiled, steamed, or fried you can trust The Red Crab to prepare crab and seafood favorites just the way you like it. 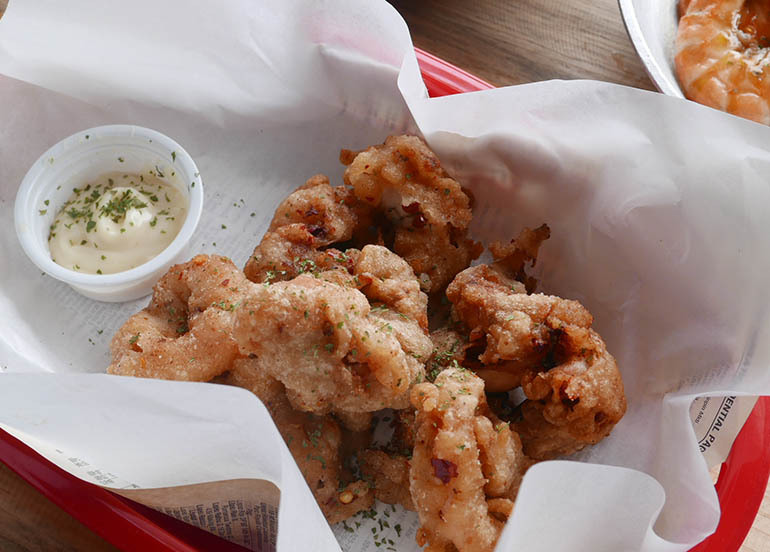 Bun Appetit is one of the most popular stalls at The Grid Food Market in Rockwell. 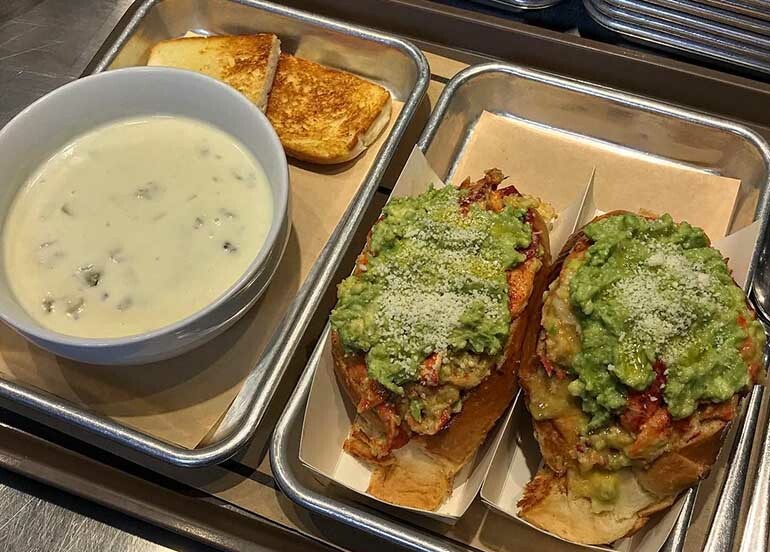 They serve succulent seafood grilled cheese sandwiches and sides like Mexican Grilled Corn and Garlic Noodles but it’s their bestselling Lobster, Crab, and Shrimp rolls that are to-die-for! 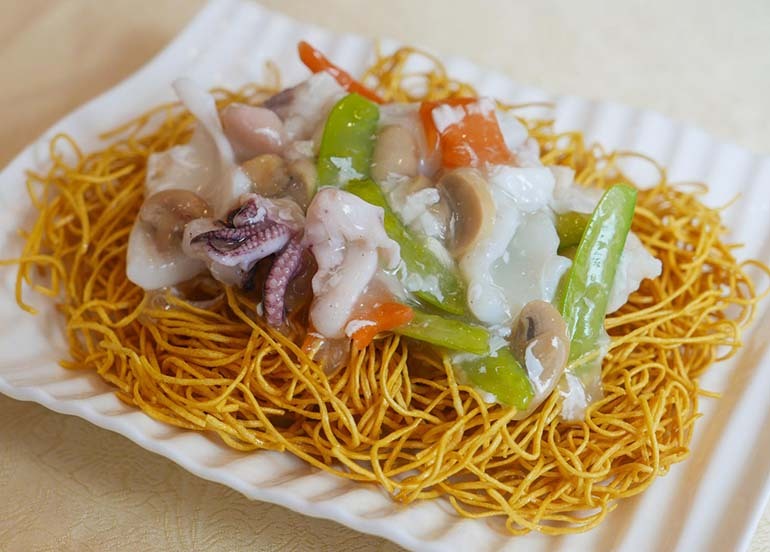 They offer authentic Cantonese cuisine highlighting various seafood fresh off their tanks. 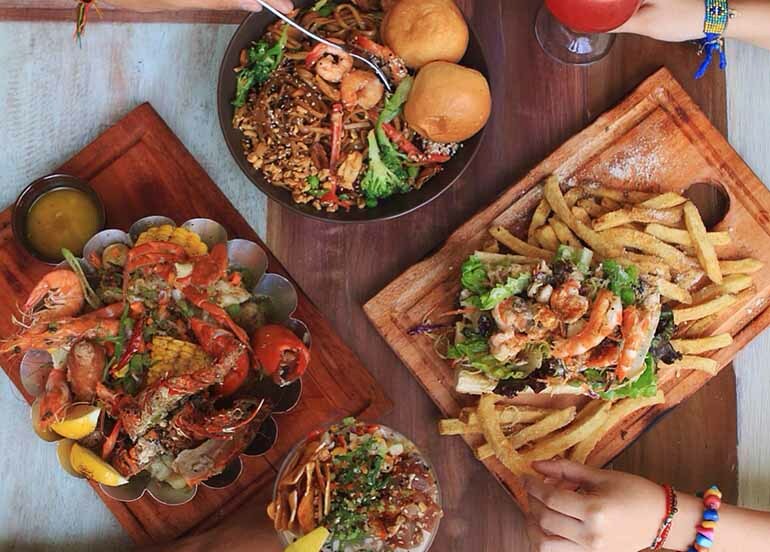 iSeafood at The Lokal food park serves affordable seafood dishes such as paella, buttered shrimps, honey garlic shrimps, sea and chips, and more. 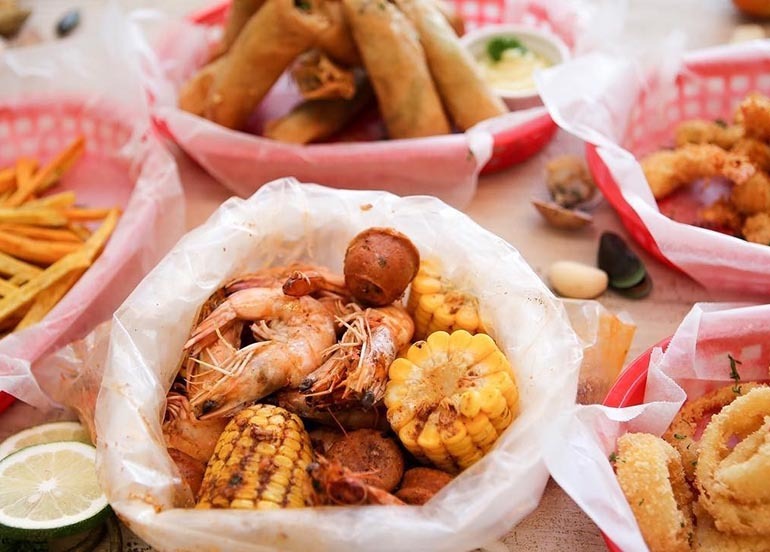 A modern seafood shack offering seafood in bags coocked in different sauces and spiciness level. 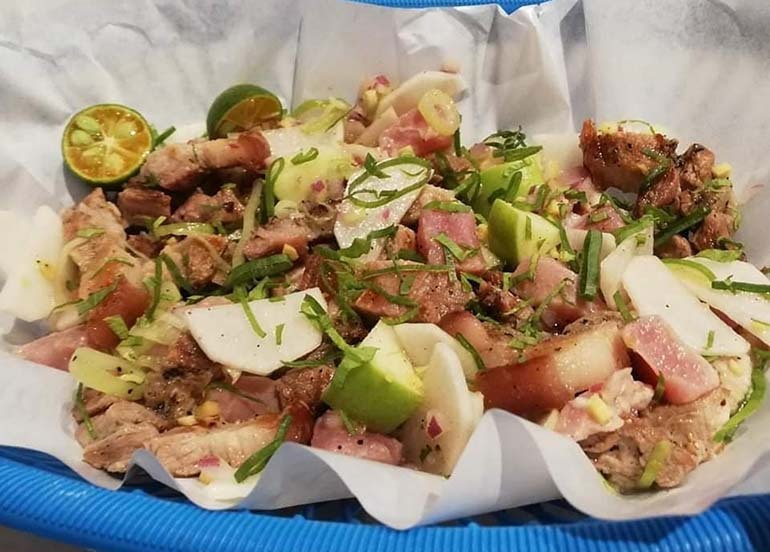 Asan Si Diwa At Ila at Sagul Food Park is a travel-themed concept inspired by the owners’ travels from all over the Philippines. 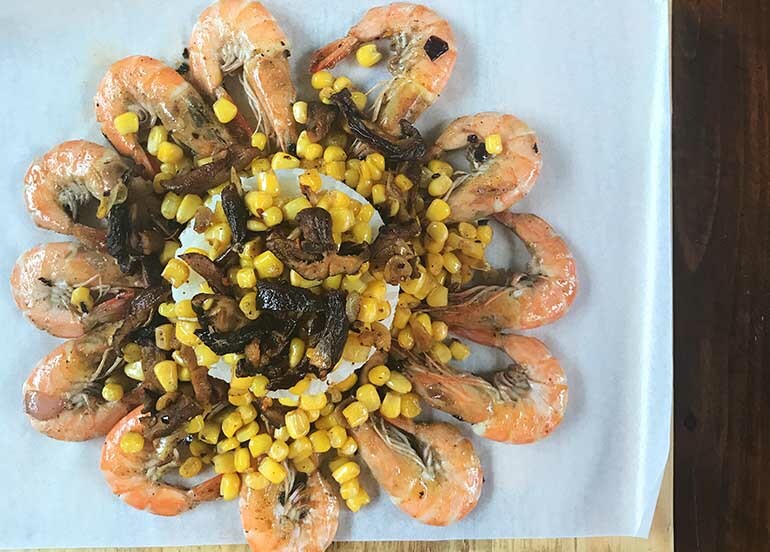 Through discovering eccentric dishes, their spicy garlic shrimp with shredded corn and shitake mushroom is their take on reinventing recipes to make it adventurous just like them. This little seafood shack specializes in serving large crabs for a very reasonable price. 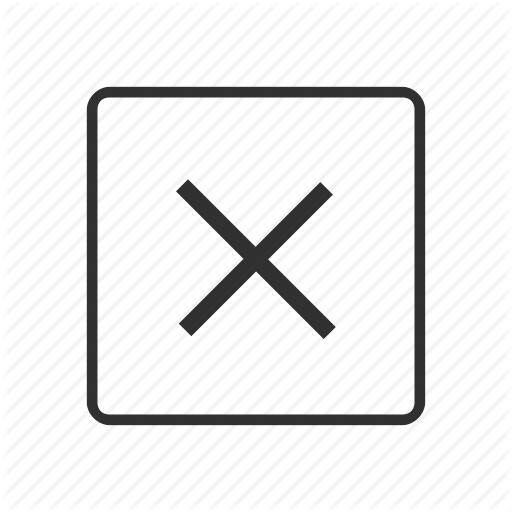 It is most popular for its crab-all-you-can promo. 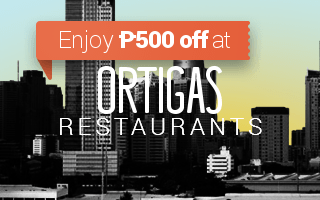 For only P699, get unlimited crabs, rice and iced tea. 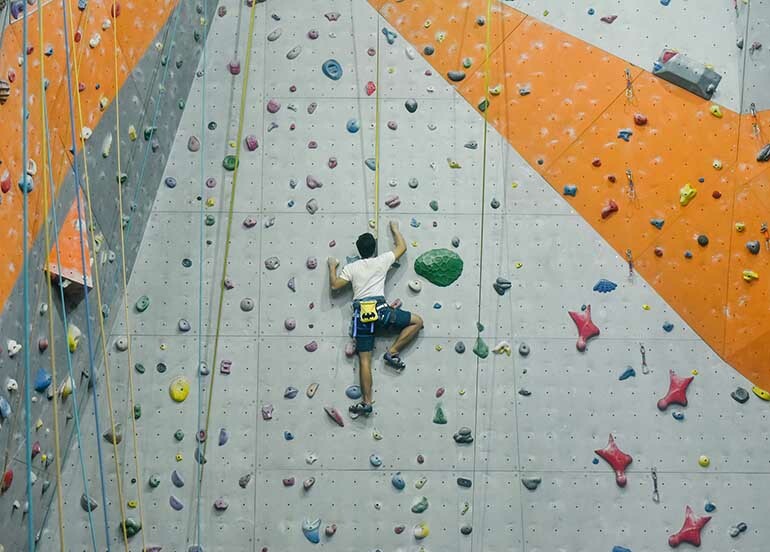 Children under 4ft. can go unli for only P300. Other seafood bags available: mussels, shrimps, clams and squid. 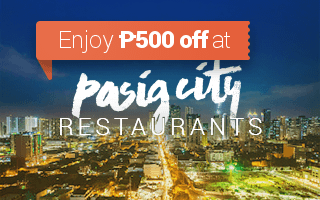 Choobi Choobi – Panay Ave.
Choobi Choobi is a popular Cebu-based Filipino seafood restaurant serving fresh seafood fare specializing in shrimps straight from the owner’s shrimp farm. 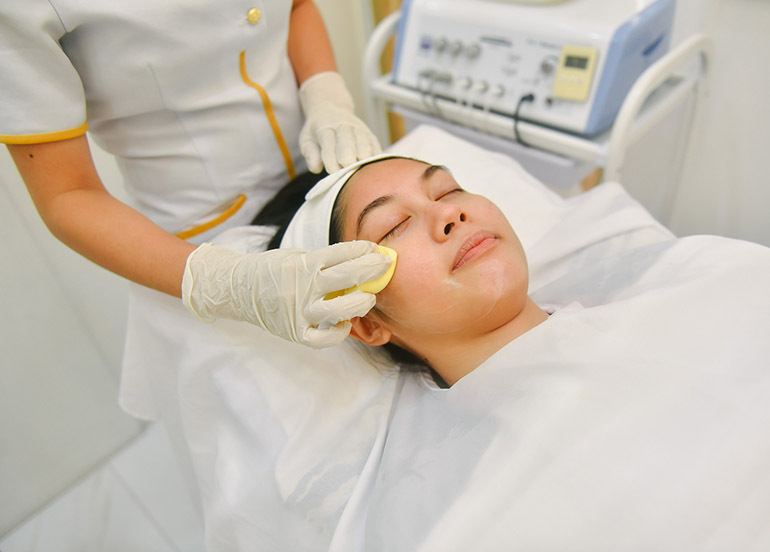 It also has branches in Davao, Bacolod, Laguna and Iloilo. El Cangrejo is a seafood and steak bistro, known for their all-you-can-eat crabs and steak! 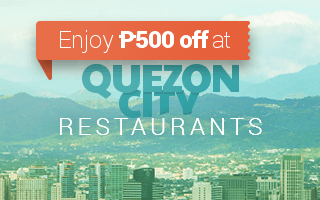 This can be availed for only Php 895/head, 6-10 pm. 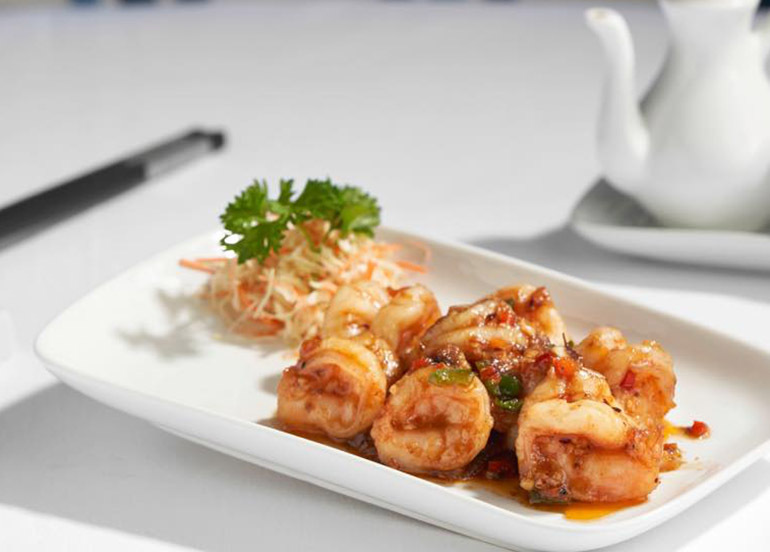 King Chef Seafood Restaurant makes the finest and most authentic Cantonese-style dishes using the finest ingredients and expert techniques. 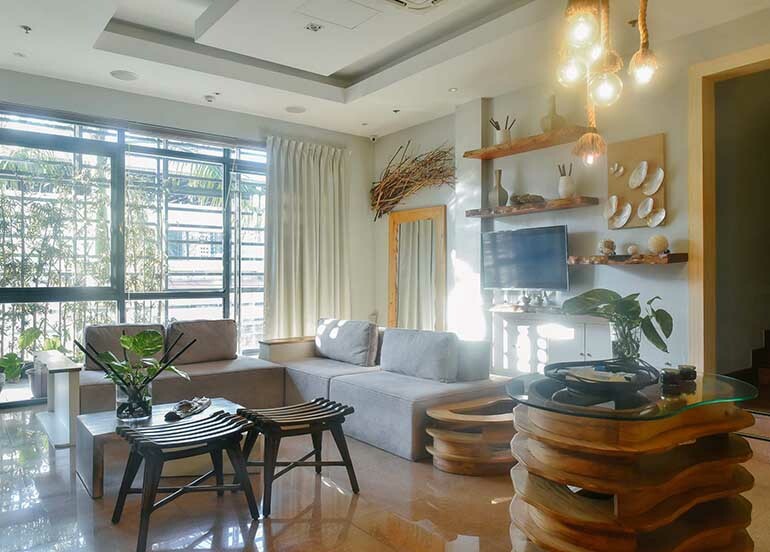 Market Basket offers a modern take on dampa with its cozy and relaxing view while enjoying a seafood feast. They offer paluto favorites cooked according to your liking. Sea anything you like? 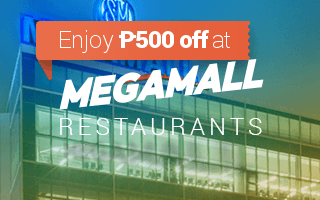 Explore the ocean of different seafood places in the metro now! 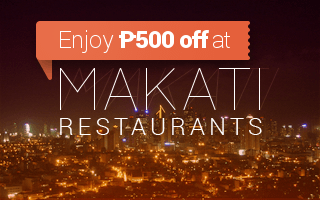 If you want to be featured in our future posts, tag us on Instagram @bookyapp and use the hashtag #bookymanila. 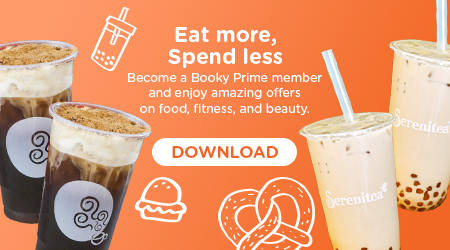 If you haven’t, download the Booky app now for FREE on iOS or Android; it even works offline!